Switzerland is known for its ever so alluring sights and high mountains, there are a number of cities in the country that draw numerous tourists every year. One such city situated within the country is Geneva. Switzerland being an enormously large country, people often miss out a number of places to visit there. In the next section of the blog you will get to know about the top 10 best tourist attractions in Geneva. The best part about each of the tourist attraction listed in the below section is the easy geneva airport transfers that will help you reach your destination on time and without much of a hassle. The word Jet d’Eau translates to english in water jet. This mighty jet of water is placed upon the lake which is visited by a number of tourists due to its amazingly beautiful sights. If you are visiting GEneva then visiting this place is a must as it is the landmark of Geneva. This jet symbolizes Geneva, in fact the city is famous in most of the parts of the world because of the jet. Jardin Anglais translates to english in the english garden. The place is situated in the southern direction of Geneva lake and almost every person that visits the lake visits this place as well. 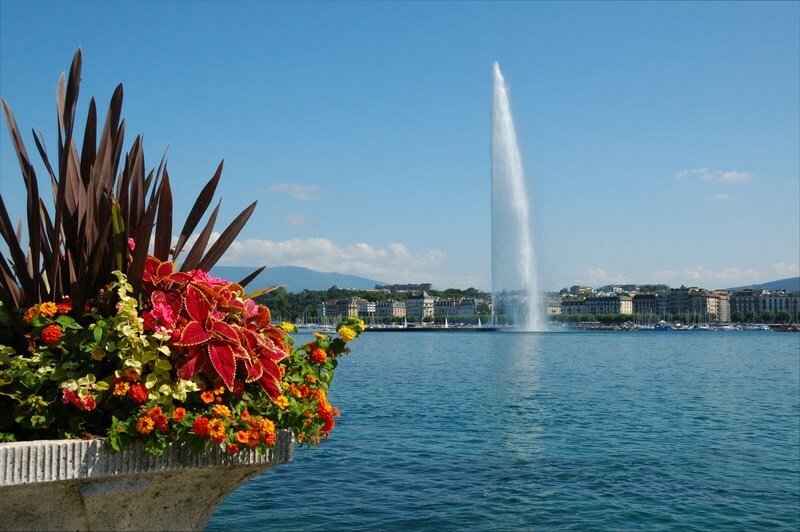 A large flower clock is situated in the center of the garden which too symbolizes Geneva just like the Jet d’Eau. The park also harbours certain allegorical figures including the figure of Geneva. This is yet another garden situated in the city of Geneva. But, unlike all other gardens, this one is a botanical garden and harbours a number of botanical samples and sights. The jardin botanique is not just a botanical garden, instead it harbours greenhouses and conservatory gardens as well. The entire place is covered within around 28 hectare of space and is home to around 12000 species of shrubs, trees and plants. Named a temple, but it was a church in the earlier times. The place encompasses a number of gothic elements that are worth drooling over. Its name was changed after Geneva played a significant role in the protestant reformation. The lake is the most well known places of Geneva. In fact most of the sights and places that are located in Geneva are named and situated around the lake. Once you visit the lake you will get to see a number of other places around the lake which will undoubtedly make your trip a whole lot better. The museum of history, harbours a repository of all the historical events that took place back in time. If you are a fan of history or if you are willing to learn more about Geneva’s history then this place is a must visit for you. All of these above mentioned tourist attractions situated in Geneva are super fun to visit and are absolutely hassle free. You can visit any of these locations very easily with the help of geneva airport transfers that are available at a very nominal price.